Cake: 1/2Kg chocolate cherry cake (you can set cake weight as per your wish). By sending this scrumptious cake to your younger ones on their birthday. Propose your girl with this lip-smacking cake. 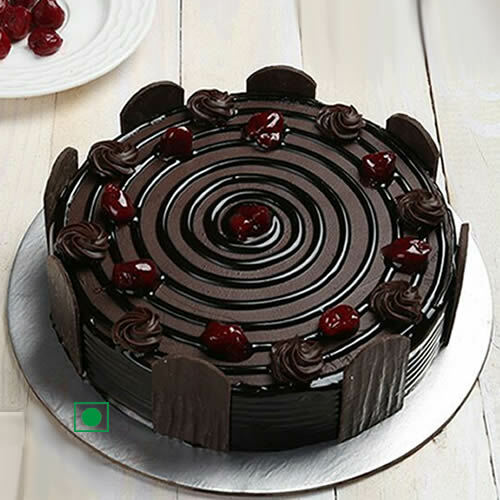 You can gift this delicious cake to your wife on her Birthday. Delivery may not apply for timings like: Valentine’s Day, Friendship day, Mother’s Day, Christmas, New year etc.